"In my view, Victoria Barnett is the world's foremost Bonhoeffer scholar. 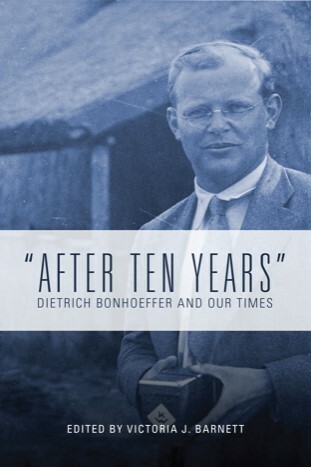 This brief new work elevates Dietrich Bonhoeffer's 'After Ten Years' essay to the central place in the Bonhoeffer canon that it deserves. Barnett's new introduction to this seminal Bonhoeffer text helps readers understand it better in its own context -- and in the context of our own troubled times. Highly recommended."